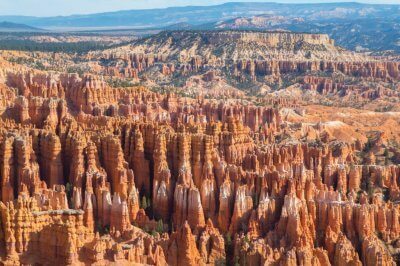 What are the Four Corners States? 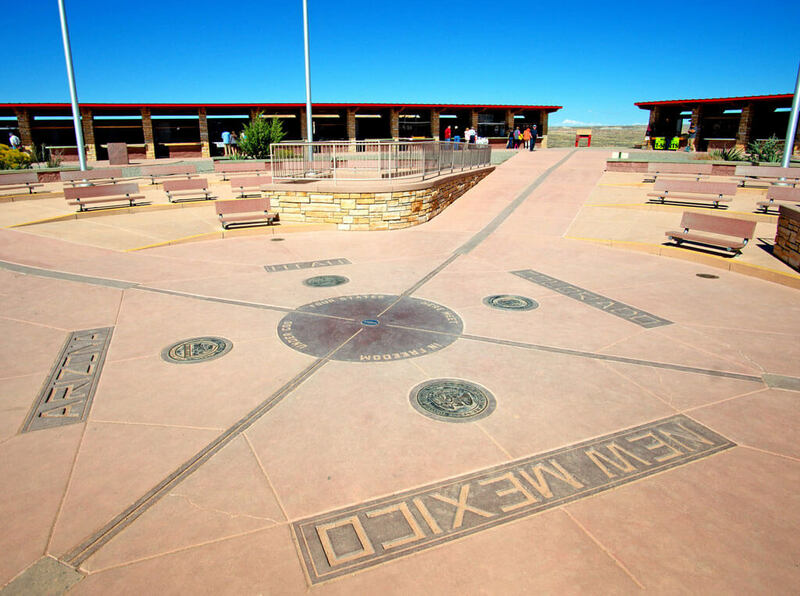 The Four Corners Monument is the only spot in the US where the borders of 4 states intersect. 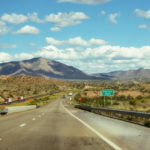 It’s a unique geographical location comprised of the states of Arizona, Utah, Colorado, and New Mexico. 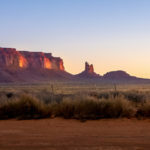 The land is owned and operated by the Navajo Tribal Park. There’s an entrance fee of $5 per person, and it’s open from 8am till 5, 6, or 7:45pm depending on the season. Check dates and times on their website here. Where are the four corners located, What’s nearby? To be honest, saying it’s in the middle of nowhere isn’t a stretch. 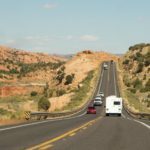 You probably would not go on a specific trip just to see the Four Corners, however if you’re going to other places out west, then it’s worth it as a stop in between or on the way to different locations. You will need a car to get here as well. 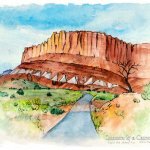 Monument Valley, Utah – 1.5 hours, 100 miles –This is the way we came from, you can read about the drive here. 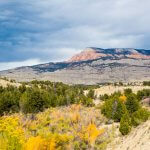 Cortez & Mesa Verde, Colorado – 40 mins, 40 miles – We drove to Mesa Verde after our stop here. Plaque stating that the monument here is the official location of the Four Corners. There are disputes to its exact geographical location, but this is the officially recognized spot by the government. The land is very deserted. Not much to see other than a lot of dirt and just touches of green from some desert plants. This was the view from all 4 states. It’s so dry all around, although the San Juan river does run near by in Colorado. 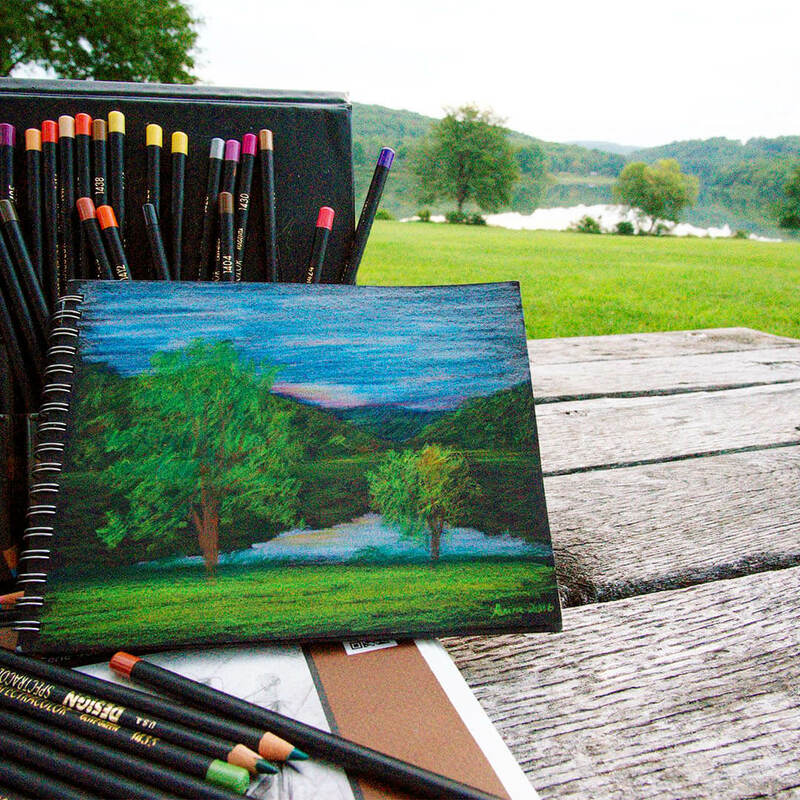 What the surrounding landscape looked like. 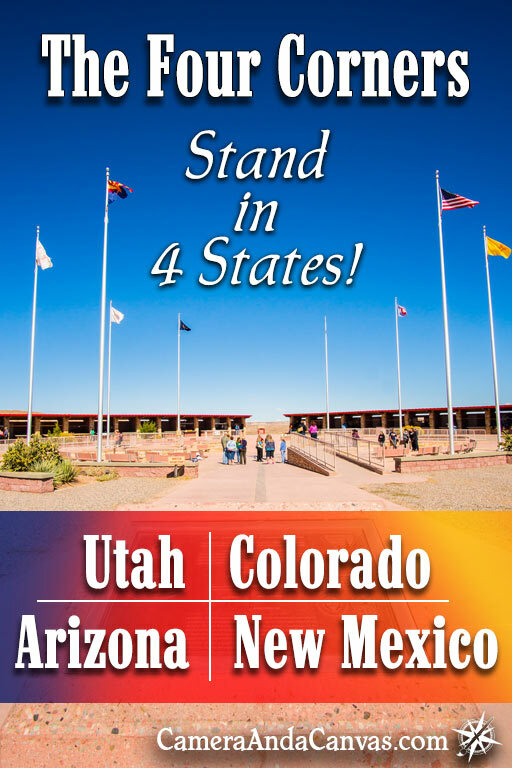 Stand in all four states at the same time! Of course this is THE thing to do, the reason why you come here! People stand around and wait their turn to go and sit, stand, or make a wacky pose on top of the marker. There are signs around saying there’s a limit of 3 photos, which is a good thing if it gets crowded I’m sure, but when we were there, it wasn’t so we did take a few more than just 3. No one seemed to mind and those around were respectful of giving everybody a turn. Yes! Checked this off the bucket list. Got to sit in all 4 states at once! The Four Corner’s Marker sitting on top a granite slab. 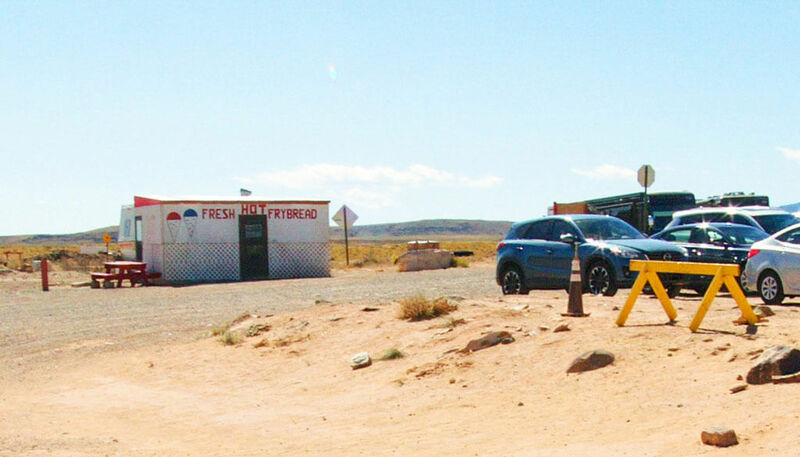 Shop around at the many Navajo vendors selling their arts & crafts. There’s lots of jewelry, both cheap and expensive, dreamcatchers, pottery, paintings, and a lot more. Many of them are even working on their craft in their shop stall. The one man we saw was making painted decorated arrows with arrow heads made out of some type of stone that when held up to the sun the light shined through beautifully. 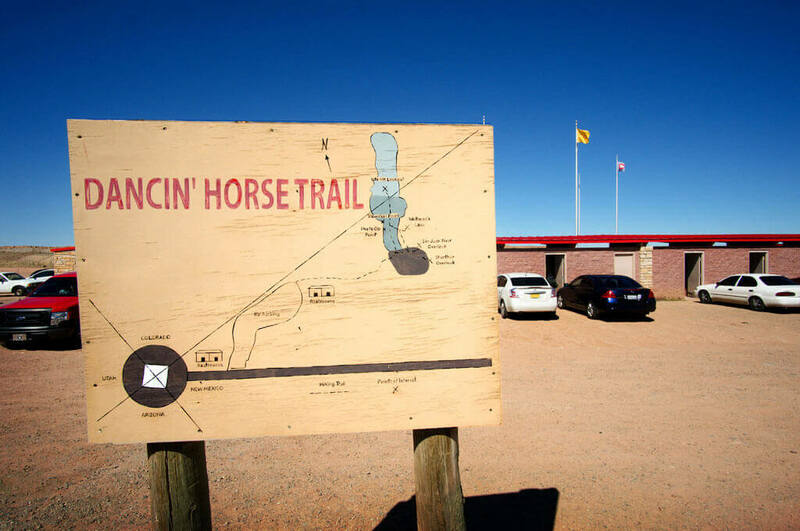 Take a walk on “Dancin’ Horse Trail”. Yes there is actually a small trail here! It’s not long either, only about 0.3 miles. It leads to a spot with a few overlooks of the San Juan River. 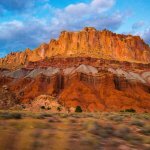 The only trail at the Four Corners. Get a bite to eat if you can. When we were there, there was only 1 food vendor, we thought there’d be more-and maybe at other times of the year there is (we went in October). The food vendor was out in the parking lot area somewhat near the main entrance in a white trailer with a slightly larger area attached on for shade and a place to sit. It was closed when we first went over to it. This was bad, because we were both planning to get some food here, and we were hungry. After maybe a half hour or so though (we went back to look around at the shops for bit), there was an “Open” sign out and the door was open too, yay! Navajo Fry Bread, Hot Dogs, Tacos, and Sno Cones were for sale. There wasn’t a lot on the menu, but we didn’t care, we were starving by now. We each got a Navajo Hotdog, which was simply a hot dog with your choice of toppings on some frybread for a bun. There was just a single woman cooking inside the trailer, doing orders individually, one at a time. At least there were only 2 people in front of us when we ordered, so after their food came out it was about a 15 min. wait for our food. Was nothing exceptional, but pretty tasty! 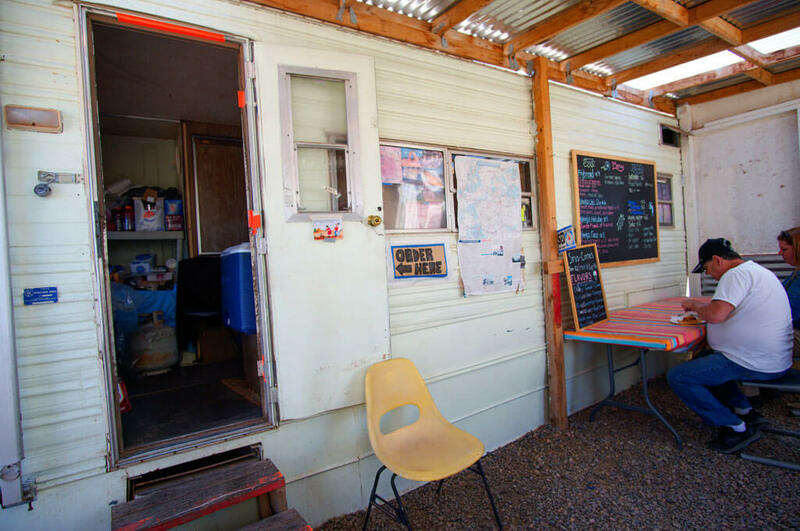 Inside the little boarded up room where the food vendor was selling & making fry bread, etc. 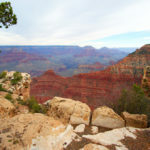 Are the Four Corners worth seeing? 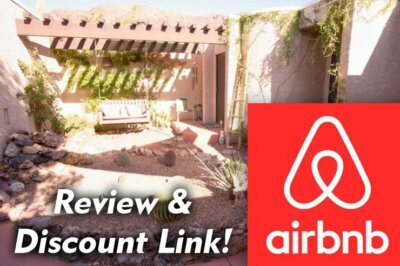 I see a lot of up and down reviews on the place. Some people say it’s a waste of time and money to charge a fee to stand on a spot on the ground in the middle of nowhere. Others, like myself, think it’s pretty awesome to be able to stand in 4 states all at once! I personally think it was very much worth it, but I love traveling, geography, and unique places such as these! And…that’s about it! You can make this a quick 1 hour stop or less if you wanted to. And make sure you bring your own food if you’re really hungry, especially some water as it’s very sunny and can be hot! 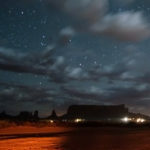 I felt it was an hour or two well spent on our road trip inbetween Monument Valley and driving to Mesa Verde National Park. Whoa. 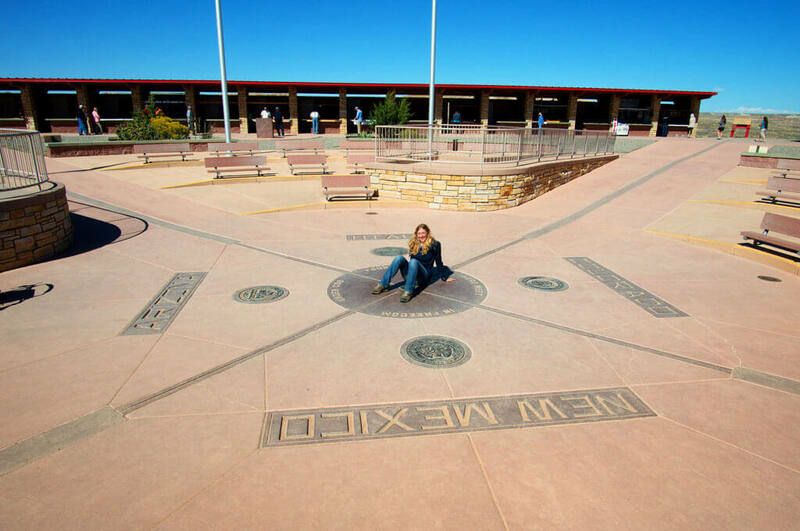 I did not know about the The Four Corners Monument. I am a border junkie. Even though this one is not an international border but I still find it an exciting place. Hope to see it someday. I am quite surprised that there would be people who would think that is a waste of money. I think it is absolutely cool! 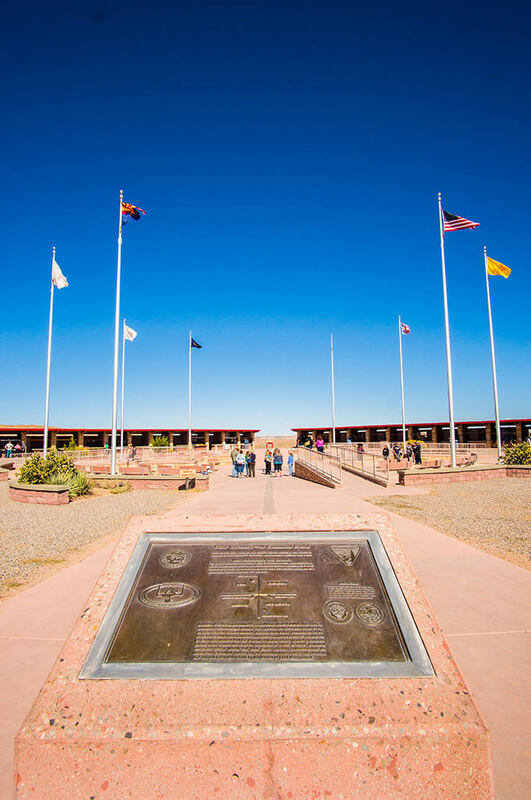 It’s not just a border between two places, it is an intersection of four different states! It is so amazing to stand in that spot. I’ve actually seen photos of people who would crouch on all fours so they get to touch all four sides! Seems like an interesting place to stop by. I’d love to see the Navajo’s handcrafts too! I LOVE places like this! The whole idea of being in more than one place at the same time really excites me! When I was in Ecuador I went to the equator and was in the Northern and Southern hemisphere at the same time, and at another point I’ve been in Nepal and India at the same time. Everybody knows about both experiences because I won’t shut up about them! I’ve actually never heard of the Four Corners Monument but honestly it really does sound like my kind of place! 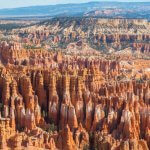 Especially if it’s owned and operated by the Navajo Tribal Park – two birds, one stone! Glad to hear you had a good time even though there wasn’t much to do. 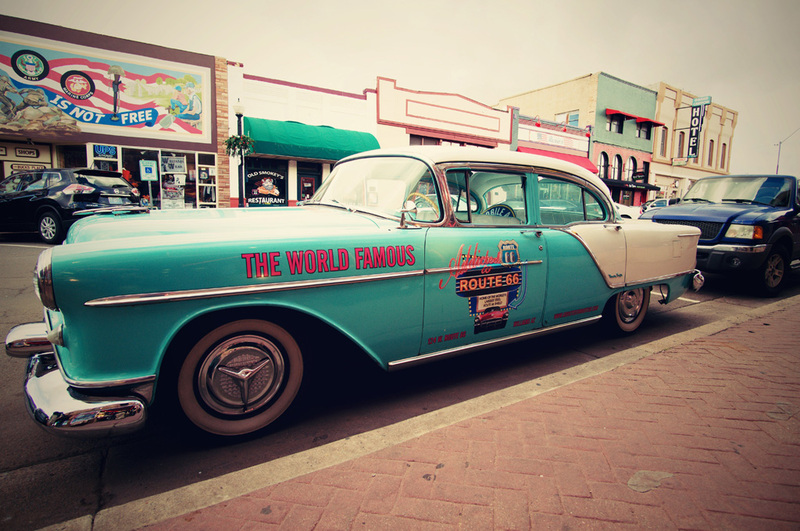 This reminds me of the movie A Walk to Remember, but with 4 states! Must be pretty cool to be in 4 different places at once. 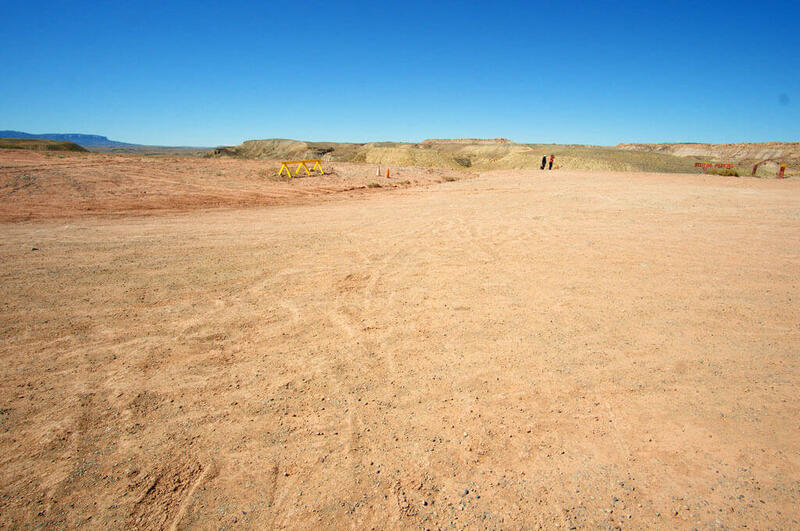 I have watched a few videos about the four corners monument. But in real it might be totally thrilling to be in 4 states at one point of time. Hope you had an amazing time. Thanks for the insight. Looks like a unique place to stop off for a while. I am sure you can get some deep thinking done here since it’s so deserted and there’s nothing much else to do. Thanks for posting! I saw this spot in a movie once! 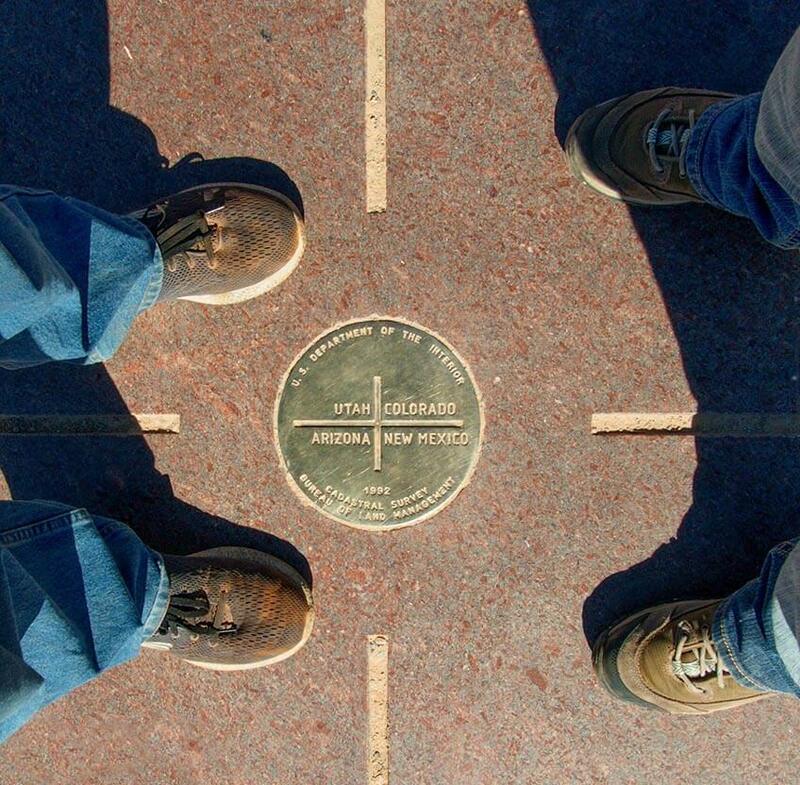 I’d go there for the novelty of standing in 4 states at once. Was it hot there? When we went there it was in October, so no it wasn’t hot. I had a long sleeve light jacket and pants on and I was fine. It was VERY sunny however, and as you can see not a cloud in the sky lol. Very dry too so we were drinking a lot of water. In the summer I imagine it can get pretty hot though. This is so great! 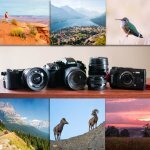 I am a art/photography travel blogger also! We are a RARE breed! 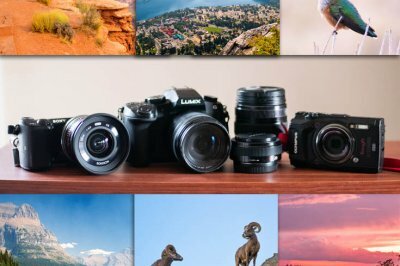 Great post about the corners. 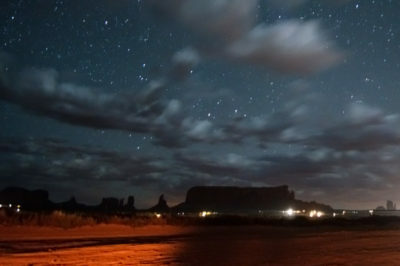 I wanted to go when we went to Monument Valley but of course, my husband said it would be a waste of time. I’d like to visit there some day! This is great information. Also looks like a warm place to visit in October! Thanks! Yes it was pretty warm out there under the afternoon soon at least! I still had a light jacket on but there were others in t-shirts and shorts even lol.